Both Presence and Depth should be C type (reverse log). It will give the controls something closer to dB/degree of rotation, making the sweet spot a little easier to hit. You can mitigate the issue by reducing the pot value or putting a resistor between pins 2&3 on the pot to change the curve to a more aani-log shape. 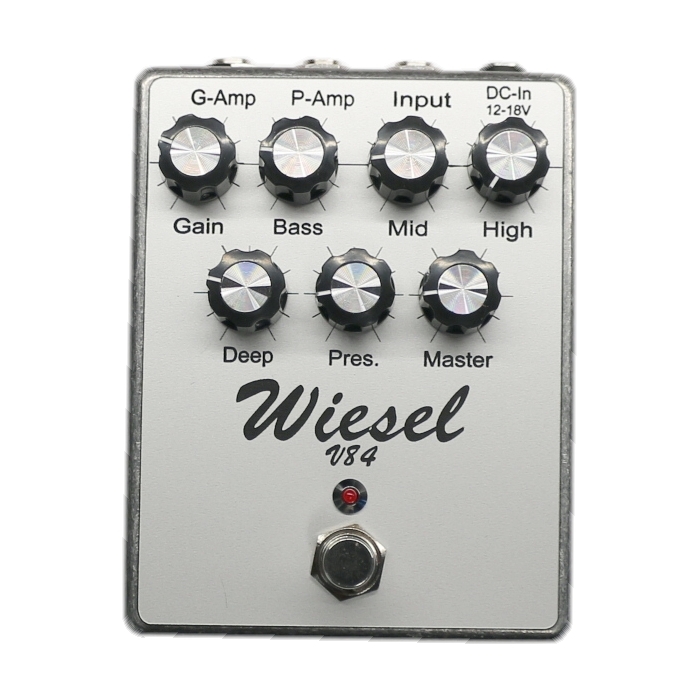 i don't know if this is allowed here but i've ordered a small batch of weasel v84 and now have 4 boards left. I'm located in germany and would give them away for production cost + shipping (for germany/austria roughly ~5€ for one or ~7€ for two). Sadly packaging + shipping costs are higher than the actual prodcution cost which is <2€. If anyone is interested I'll calc the exact price (it's a bit less than stated, i was just too lazy to calculate it exactly). I must have stuffed something up, time to start tracing with a scope! Actually im just using 9v to power them at the moment. Would a low voltage or current supply ability cause this? Did you put the regulator ? I tracked down the issues. I built two - one with a 12V reg and one powered direct from a 9V battery. The one with the 12V reg had a jack issue - not making ground properly which caused oscillation. The 9V powered re-less one - the battery voltage was too low, about 7.5V. Sent the circuit into oscillation. Oh - I also want to address what might be a small error. In the tone stack, the schematics show a Fender style tone stack with the mid pot wired as a rheostat. In the real amp the tone stack is Marshall style with the mid pot wired as a pot. The values are the same, but this change changes the tone shaping a lot! Much more bass and less treble with the Fender stack. Can someone check the real pedal to confirm whether it is on fact fender style or Marshall style? It's an easy wiring reconfiguration to make and the PCB wont change. I checked the photo and the tone stack does appear to be wired Fender style. So the schematic is correct. Just tried the Marshall style mid pot wiring and it is definitely my preference. To me there more audible mid range harmonics and overall has more clarity. Easy to do by swapping one wire across. I also tested where the pedal starts to get muddy relative to the input voltage, 8V seems to be the limit. So I think a full 9V battery should be fine. I also tried boosting it with some clean boosts and tube screamer type circuits. It takes a boost really well. 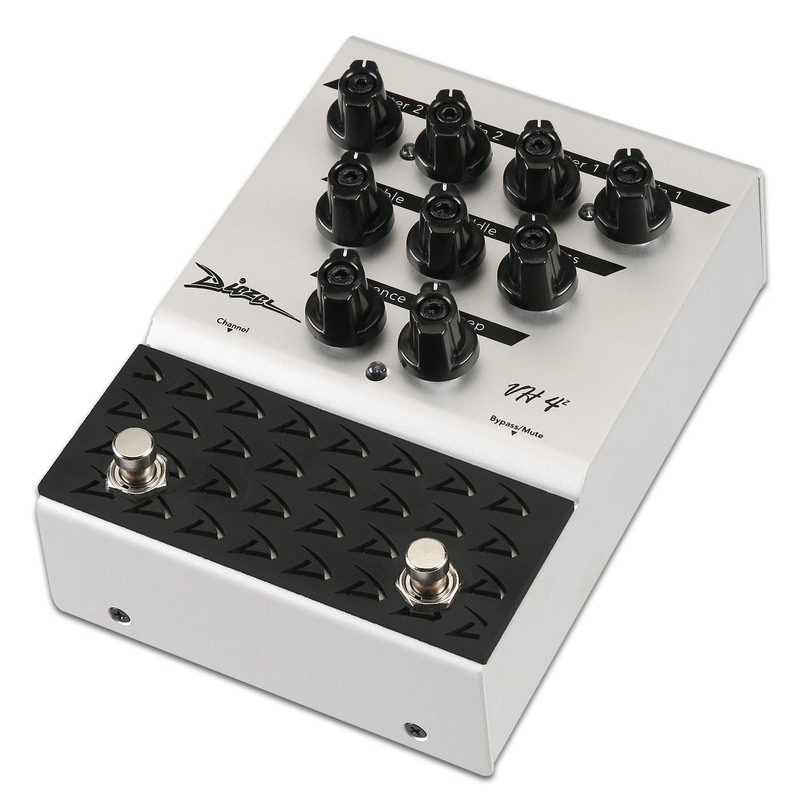 Overall an excellent pedal! Uwe has put together a complete kit of parts with an excellent pdf builder's manual too! @bajaman: i have high frequency "squealing" issues when turning the gain up to far (probably everything beyond 75%). It's sounds like feedback to me. I've pretty much narrowed it down to happen around the first TL072 ( the part with the z-diodes). Does any one have any hint's what could be wrong here? I took some "random" 5V6 z-diodes had still flying around (4734 to be precise) , could it be caused by those? oh.. i'm using the v84 pcb from osh park (built elsewhere but that shouldn't matter i guess). VH4-2.. 2 channels, why not! As an Information for others that may encounter issues similar to mine (massive feedback when gain is turned up "too far"). I was able to suppress the feedback by increasing the feedback cap on the 3rd gain stage (IC2A, the one with the 1N5232 Z-Diodes) a LOT! I opted for a quick trial & error with i had flying around here and had to go up to 560pf to eliminate feedback on full gain. Could it be the caused by different Z-Diode capacitance (afaik they do have some capacitance, right?) ?! It's nice to have a working Pedal now, but I hate not understanding the why on issues like this one . can't wait until tomorrow to get this things at the local electronic shops and test them! Depending on the footswitch you use and the enclosure you put it in, you might want to mount tall components on the other side of the PCB.